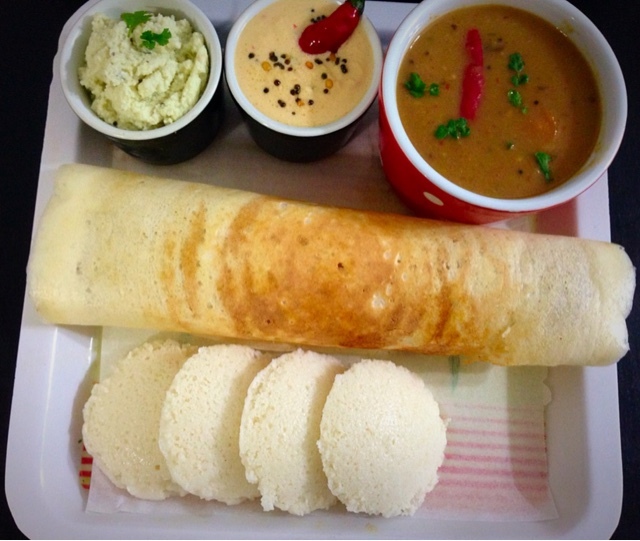 Idly/Dosa are an integral part of South Indian cuisine but delighted in every part of world. These are healthy as well as yummi. Making batter needs some patience but worth trying. Soak dal with methi seeds and rice seprately overnight. Grind urad dal to a very smooth and creamy batter by adding cold water little by little. it should look like milk cream very very smooth and creamy. Mix both the batter in a large vessel. Add salt according to your taste..2-3 tsp. Vessel should be half full only, There should be enough space as batter will ferment and rise. leave overnight in a warm place. Here in winters I made batter early morning and left it to ferment 24 hrs. 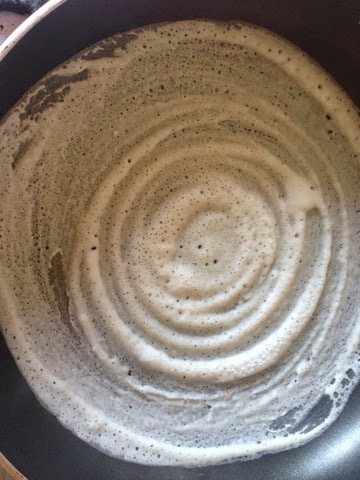 In Morning mix well before making Idly or Dosa. 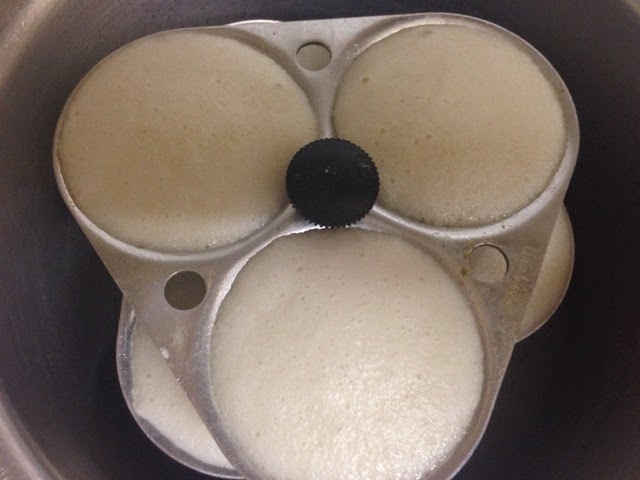 For Idly: You will require idly moulds. Fill batter in moulds and steam for 12-13 mins after steam starts coming.Open the vessel and let them cool for 5 mins then take out with a sharp spoon. 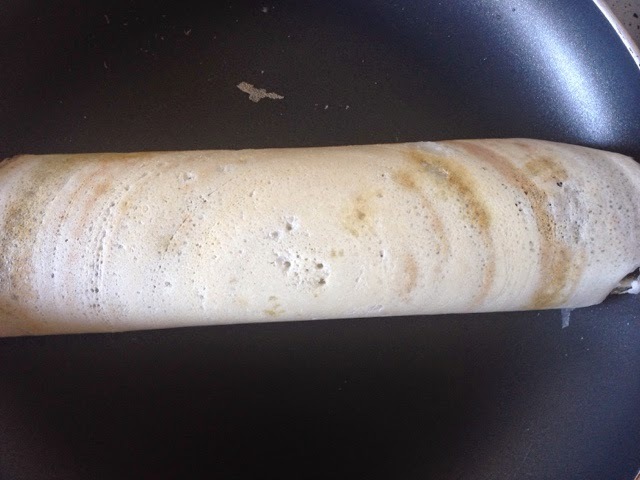 Dosa: Heat a non stick tawa nicely..spinkle some water and clean with kitchen towel. 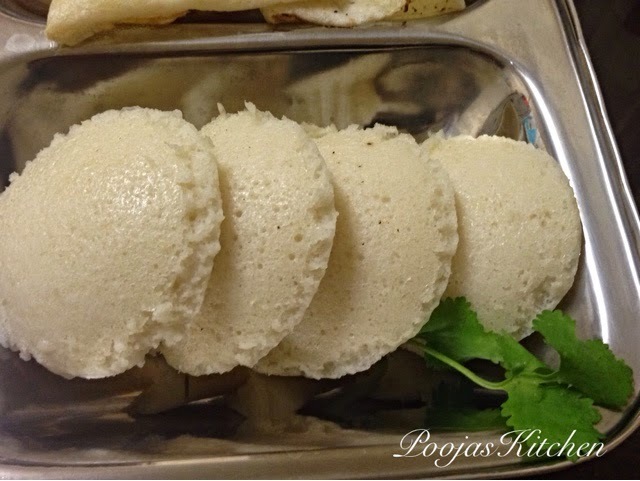 Take a round serving spoon full of batter and spread on tawa in circular manner towards outward. try to make as thin as you can. Sprinkle some oil and let it become nicely brown. 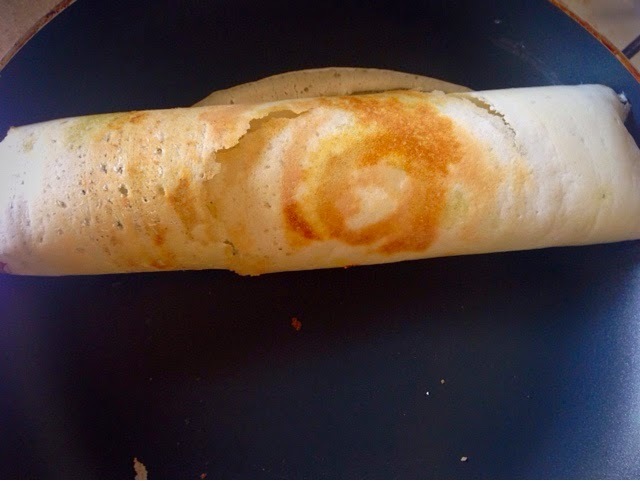 you dont need to roast other side if your dosa is thin. if it is think then flip it roast on other side. Please leave your feed back and comments.